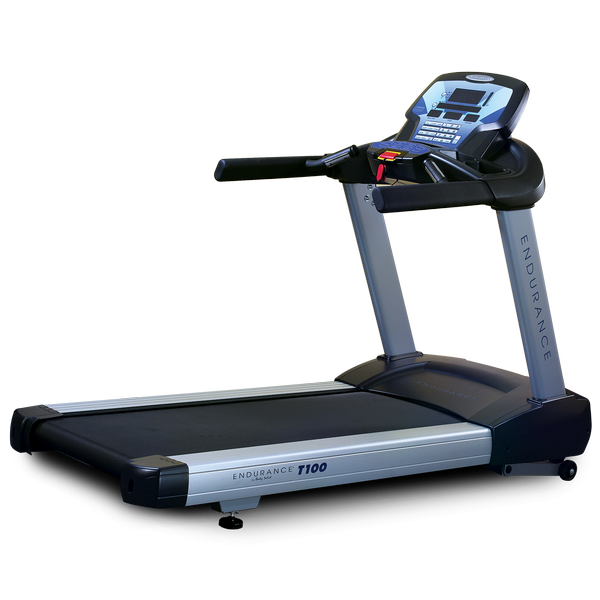 Endurance T100 Treadmill is a user-friendly, commercial treadmills, having simplifistic design. It has an advanced LED console that displays the track, speed, calorie burnt, distance travelled etc. No matter either you are walking or running, its large stop button with an emergency stop safety key adds safety to any workout. Heart Rate Feature- pulse window (heart rate) displays heart rate through the stainless steel sensors on each side of the treadmill. *Note: Most of the sites, stores or shopping portals listed above sell Endurance T100 Treadmill with discounts and other exciting offers. There is a possibility that the some of above websites are not selling Endurance T100 Treadmill now. Toughtrain.com is not liable for such cases or instances. Also we do not recommend any seller for Endurance T100 Treadmill and a buyer should buy from where he/she gets best deal with quality of products, service and on time delivery (shipment).